I've been reading several sites that say have separate shelves for your different types of pottery. Greenware, bisque ware and so on. 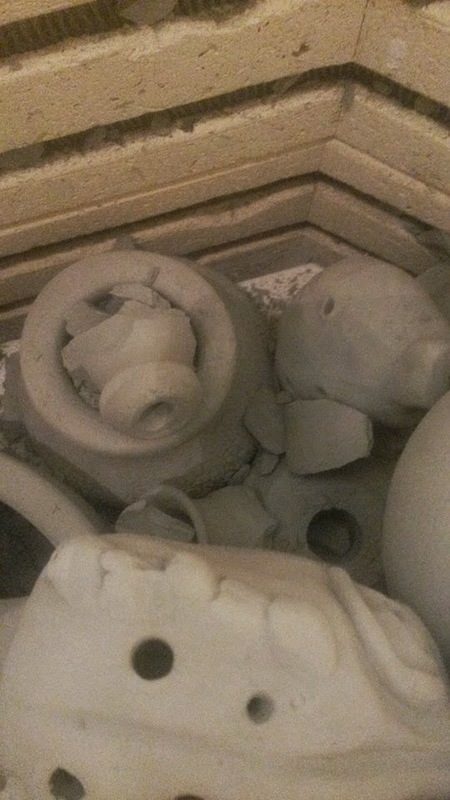 Today even after thinking I had a handle on it I learned the hard way how important it is to keep your pottery separate. At first I thought my Goddess statue had exploded due to size and thickness but upon further inspection I figured out what actually happened. Earlier this week I threw three new pots. I set them up on the shelf with my other pottery that was waiting for bisque fire. This morning hubby and I were chatting and unloading the glaze fire that had just finished before coffee. 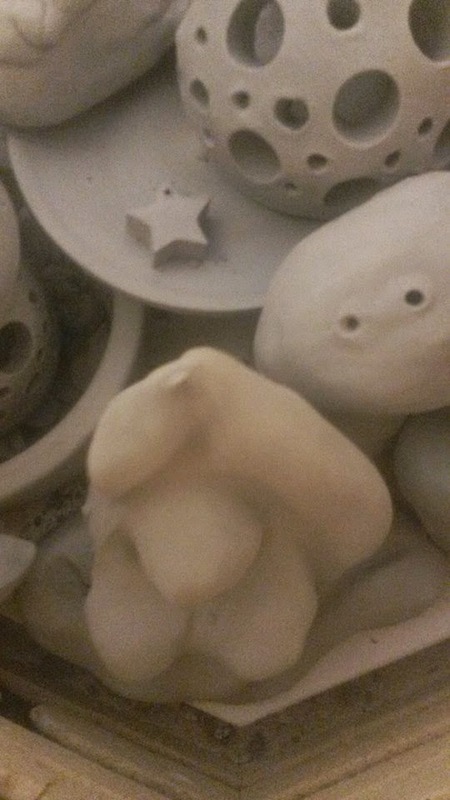 (Yes, I'm blaming lack of coffee) In any event I inadvertently put the three new pots that were only 3 days off the bat into a kiln of bone dry pottery. 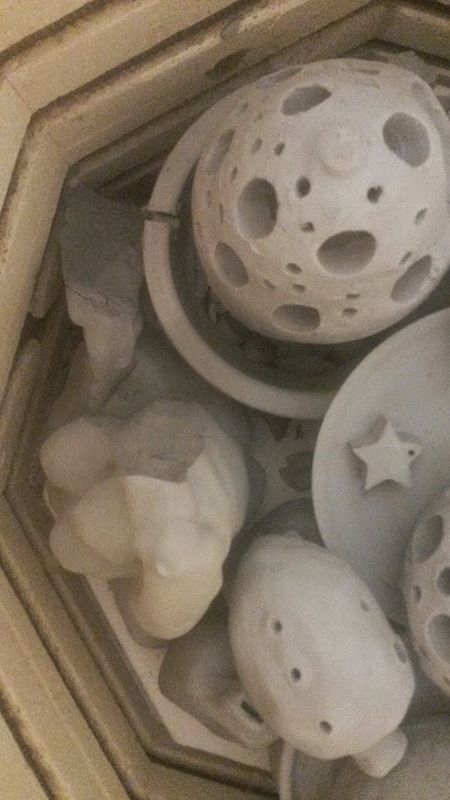 What happens when you put pots that are not properly dried into a bisque fire kiln? So now, going forward, I will have one shelf that is only for items that are bone dry. Period.